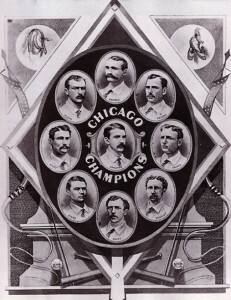 On this day in 1888 The All-American Stars were playing the Chicago National Leaguers on their American wing of their Around the World Tour of 1888-1889. This was Game 8 and was played at River Front Park in Denver Colorado. 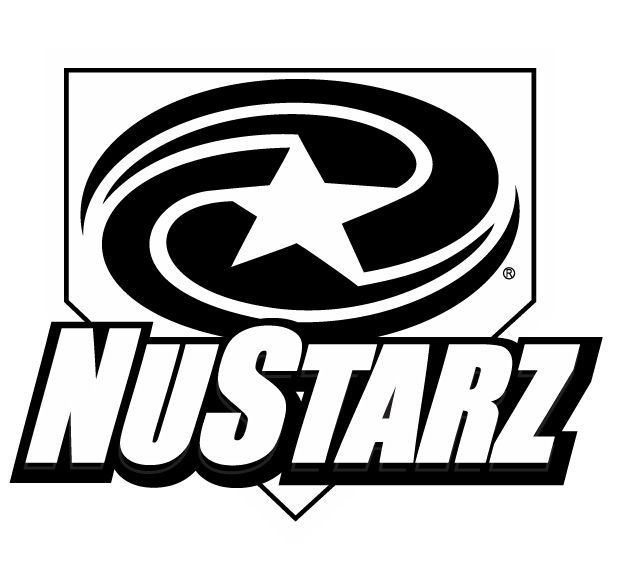 The score was Chicago 16 – All Americans 12. 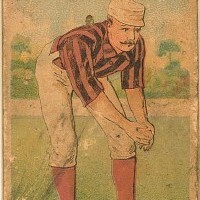 The Hitting Hero was the mainstay of the Chicago Nationals of the 19th Century, Cap Anson. Hitting in the thin air of Denver, he hit two triples. 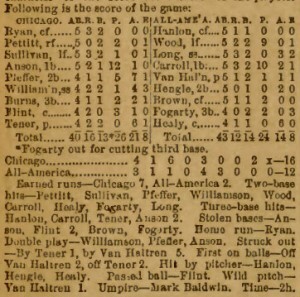 The box score is misleading as it illustrates Anson going 1 for 5, yet in the description, it notes that Anson hit two triples. The game was very well received and the baseball tourists were the toast of the town, they were expected and received by a great audience at their rail cars. That Denver lovers of base ball had been expecting us was clearly evident on every hand. The city has been well posted, and our private cars, which have been side-tracked for our use until we leave over the Denver and Rio Grande tomorrow night, have been surrounded by a curious crowd all morning. The Parade from the trains to the ball park took about one hour and was seen by much of the town. Denver in the fall of 1888 was a literate baseball town, and a town intent on welcoming the Baseball Tourists. It was easy to see that the assembly was a good natured one, but it was just a easy to discern the fact that it knew good ball from bad, and was as well acquainted with every man on the field, so far as his professional record was concerned, as any assemblage of spectators in any League city to-day. The major issue was the field, as it was a poorly kept field, in the terms of the day it was a “skin diamond; a skin field, hard on one spot and sandy and smooth in another.” The Tourists were not used to the field nor how the ball bounced on it. All in all it lead to rather poor fielding. 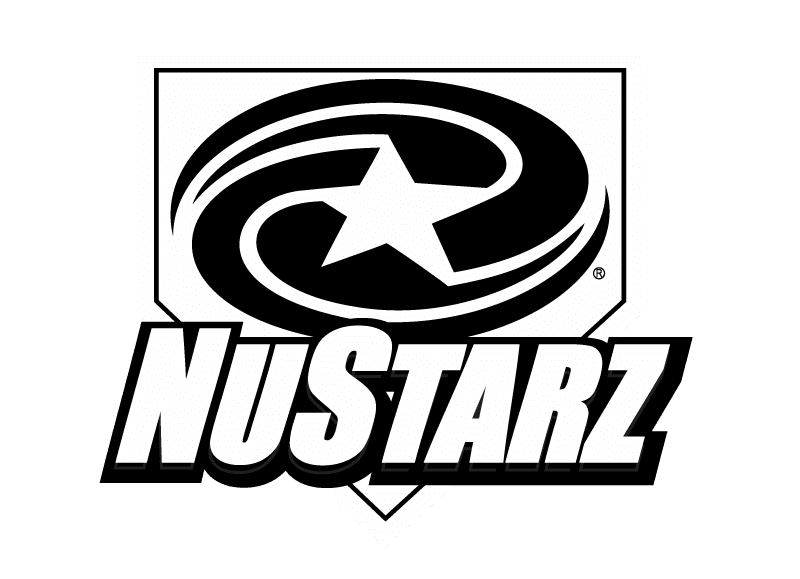 In the second place, every man on both teams, being unaccustomed to the rarified atmosphere, ran bases and fielded balls as though chunks of lead were tied to their shoes. The Tourists did not know how to adjust to the ball flight as well. Good fielders of the day were unaccustomed to the speed and distance of the hits. All in all, the poor fielding: a combination of the poor field and altitude that the Editors of Sporting Life felt compelled to apologize to the fans and media of Denver for the quality of play. Sloppy play would be an understatement for of the 28 runs scored, only nine of the runs were earned. I want to assure them on behalf of our boys that no one regretted the character of the score more than did the players. Cap Anson remains the most polarizing character of 19th Century baseball. 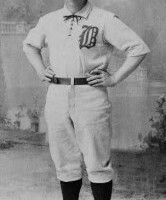 Born in a log cabin in 1852, he began his baseball career with the famous Rockford Forest City Nine, attended Notre Dame, and was one of the Original National League’s premier team the Chicago White Stockings. 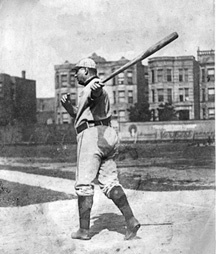 Anson played 27 years in the majors, and batted over .300 in 20 of them, and when he retired he was the holder of numerous baseball records, including games played, hits, at-bats, doubles, runs. As player-manager he has over 1200 wins and responsible for winning 5 Pennants. Additionally, he was one of the first managers to take the team south for spring Training. He was the force that lead the Cubs to their successes, and the force for evil in segregating baseball. His influence on the Cubs was so great that when he retired from the game, the team was renamed the “Orphans” because they had lost their leader and “father.” Yet it was Anson who infamously refused to play the Toledo Blue Sox with Fleet Walker as their starting catcher. Later in life he was part of the Democratic political machine of Chicago, and served as City Clerk for Chicago.